Dickey McCay Insurance offers excellent local insurance rates, services and group health package for individuals and businesses even though we do not have a physical office location in Blairsville, Georgia. We can make this happen due to our experienced staff of insurance agents, eighty years of combined knowledge and training in the insurance industry, and our passion to keep our overhead low to ensure we pass our savings onto our valued customers. Our main office, located in Copperhill, TN, is a just a call or short drive for our insurance agents as we serve our customers in need of specialized insurance care dealing with auto insurance (car insurance), homeowners insurance, life insurance, health insurance, home insurance, commercial insurance, workers compensation insurance, cyber insurance, personal liability insurance, rental property insurance (vacation rental property), boat insurance, and rental insurance. We offer competitive pricing insurance policies through more than thirty-five (35) different insurance carriers. The key ingredient to securing the right insurance policy is understanding your lifestyle and matching it to the right offer with the insurance carrier who can provide the best benefit at the right pricing value. At Dickey McCay, we listen, learn and recommend insurance services which will meet your lifestyle goals. Our years of experience and passion for serving our valued customers support our ability to offer competitive insurance rates and excellent service. The Dickey McCay team knows Blairsville, Georgia is a beautiful city. 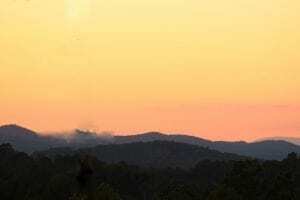 Located in the Northeast Georgia Mountains with spectacular views all around, it is the county seat for Union County. Similar to Blue Ridge, Georgia, tourist can enjoy fun on the water as it provides boating, fishing and skiing, then an evening of eating out at some excellent restaurants while taking in the breathtaking sunsets like the one shown to your left. If you are an outdoor enthusiast, hiking Brasstown Bald, Helton Creek Falls, Trackrock or trails in the Chattahoochee National Forest have breathtaking views. Vogel State Park provides for camping fun while some enjoy a day of golf at Butternut Creek Golf Course or Brasstown Valley Resort and Spa competing against friends and family. 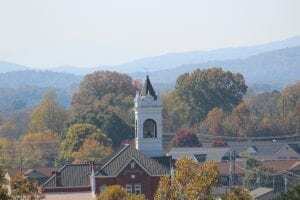 Check out the Union County Chamber of Commerce to find a plethora of events and activities to plan your visit during the year to suit your touring pleasure as Blairsville is a unique city with rich historic heritage. Whether you want to visit for a day or a week, the area has attractions and activities which are fun for the whole family of all ages. At Dickey McCay Insurance, we feel Blairsville, Georgia is a great community with people we are honored to serve. It looks like your interested in an auto quote! You can click the 'Get a Quote' button below to get an instant online quote, or continue filling out this form and we can process your request.